How should I prepare to work with a family lawyer? Why you are getting divorced. Your relationship with your children. You probably have a lot of questions and uncertainties swimming around in your head. Write them down. Put them on paper so you don’t forget to ask any of them. During your meeting, don’t be afraid to ask questions and check them off your list as you go. Here’s one question you can ask the lawyer even before your meeting: What should I bring? Depending on your case, your lawyer may request financial documents, prenuptial agreements, tax records, previous court orders, and more. Your lawyer may request further documents after your initial meeting. Your Assets: Include your home, vehicles, personal property, collectibles, stocks and bonds, businesses, and bank accounts. Make note of who owns the assets. That is, did you acquire the asset before marriage? Did your spouse acquire it before marriage? Or was it acquired during your marriage? Your Debts: Include your mortgage, car loans, credit card debt, student loans, and medical bills. You should also note whose name the debts are in and when either party acquired the debts. Prenuptial Agreement: If you spouse signed a prenuptial agreement, bring it to your meeting. Your lawyer will need to review the terms. Proof of Income: You can document your income with copies of pay stubs or even last year’s tax return. Taxes: Speaking of taxes, collect copies of your tax returns from the past few years. This can shed light on your finances. Last Will & Testament: Not only may you need to update your will, but it can provide valuable information about your assets. Phone Records & Journals: If you keep a journal that discusses matters related to your family law case, bring it. Or if you have records of things like who picked up the kids from school or who accompanied them to extracurricular activities, bring that too. Expenses: Bring records indicating how much you spend on rent, utilities, groceries, and childcare. This could include bank statements, invoices, etc. Other Financial Paperwork: Collect copies of any other financial paperwork in your possession. Common examples include retirement or pension plans and insurance policies. 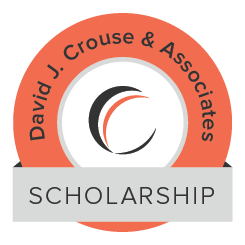 At David J. Crouse & Associates, PLLC, we understand how difficult family law is for families. We will answer all your questions, help you gather documents, file the necessary paperwork, and represent your interests throughout the case. To set up a consultation with a lawyer, contact David J. Crouse & Associates, PLLC today at 509-624-1380.